You are here: Home / Lifestyle / Pineapples – The fruit with a tangy flavor as well! 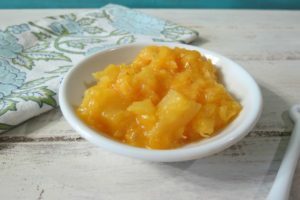 Pineapple is one of the most famous fruits ever, finding its place in practically everything, from desserts to jams to preserves to cocktails etc. Don’t get deterred by this fruit’s prickly exterior; fresh pineapple is the perfect sweet, sunny treat to brighten any day. Look for fruit that’s heavy for its size, with a rich, sweet fragrance. The leaves should be green and fresh-looking. If you can pull one from the center of the stem with only slight resistance, you’ll know it’s ripe. Ripe pineapples will keep at room temperature for about two days and in the refrigerator for about four days. Use raw pineapples in smoothies or salads, or bake in desserts. 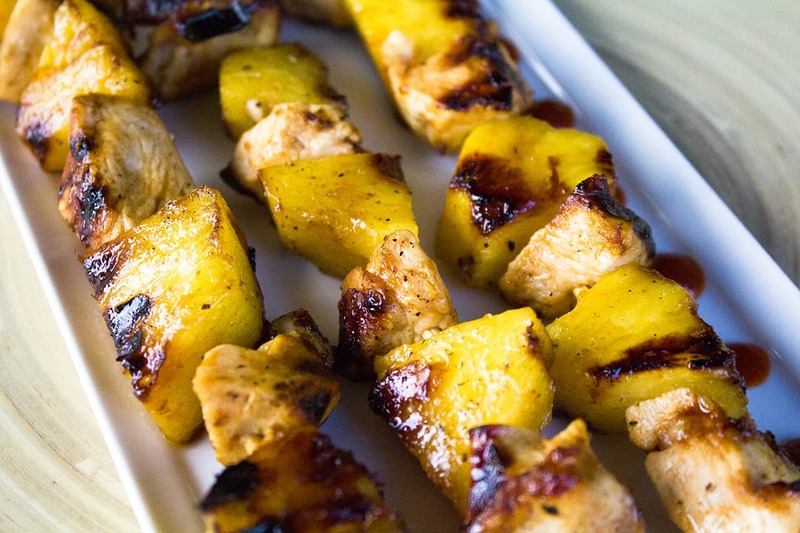 It’s also wonderful for a savory fare: An enzyme in pineapple breaks down protein molecules, making it a great meat tenderizer in marinades. Mix ½ cup diced pineapple, ½ cup diced mango, ¼ cup diced cucumber, red bell pepper,1 lime juice, 3 tsp minced green onion, 1 jalapeno pepper, seeded and minced, 2 tbsp chopped mint, and salt in a blender. Blend till a smooth consistency Chill in refrigerator for about 1 hour before serving. In a blender, blend together 1 cup diced pineapples, 1 frozen banana, 4 tbsp honey and a pinch of cinnamon. Blend till a smooth consistency is achieved. Serve chilled served on ice. 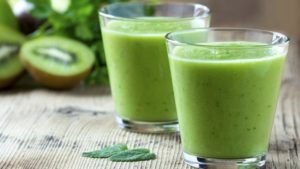 Combine the ½ cup coconut milk, ½ cup water, 2 cups washed and stemmed spinach, 1-1/2 cup chopped pineapple, and 1 ripe banana in a blender and puree until smooth, about 1 minute, adding more water to reach the desired consistency. In a medium bowl, toss 1 cup thinly sliced pineapple with 1 tablespoon sugar and 1 tablespoon chopped mint; let sit for 5 minutes. 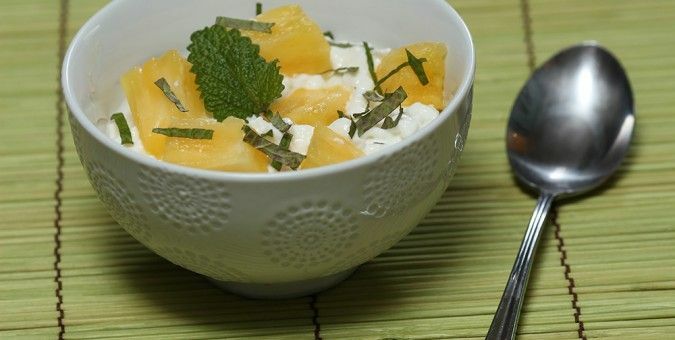 Divide 1 cup low fat cottage cheese between 2 bowls. Dividing evenly, top with the pineapple mixture and 2 tablespoon pomegranate seeds. You may also like: Watermelon – The most sought after fruit to quench your thirst this summer! 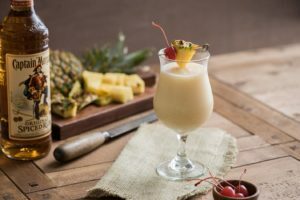 Place two ounces of cream of coconut, two ounces pineapple juice, one and a half ounces light rum, and ice in a blender. Pulse until smooth and combined, and then pour into a tall glass. 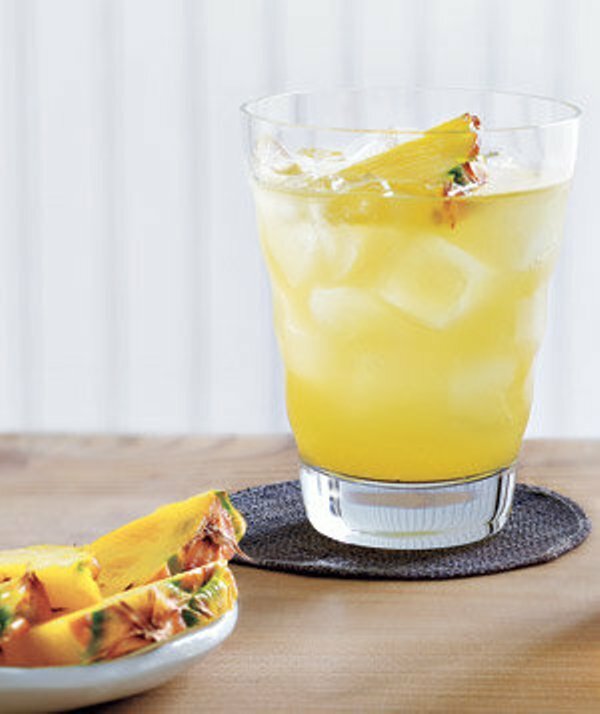 Top with half ounce dark rum and garnish with a piece of fresh pineapple. You can never go wrong with this classic pineapple cocktail. An absolute favorite at every party. In a pitcher, combine 12-ounce ginger ale and one and a half cup pineapple juice. Serve over ice with a piece of pineapple. For an instant cocktail: Stir in 1/2 cup light rum before serving. Combine 3 cup pineapple juice, 2 cups coconut water, and half cup lime juice in a large pitcher. Chill for 30 minutes or up to 12 hours. Just before serving, add two cups club soda. 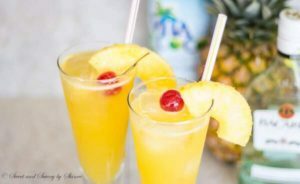 Serve over ice, garnished with a pineapple spear. Add a splash of rum, if desired. 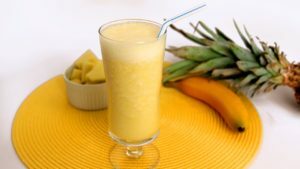 You may also like: Mango is the way to go this summer! Heat the barbecue. Thread 1 pound chicken cut into cubes, ½ medium pineapple cubed, 1 cubed onion, and several cherry tomatoes onto wooden skewers. Season with ½ teaspoon salt and ¼ teaspoon pepper. Place the skewers on a foil-lined baking sheet and broil, turning once and brushing occasionally with honey, until slightly charred roughly 8 to 10 minutes. Serve hot. I am sure that you will try these recipes. Also, check out the other series on mango and watermelon. Do comment on how delicious the dishes/ drinks were.